This design is one my 2yo had to have! 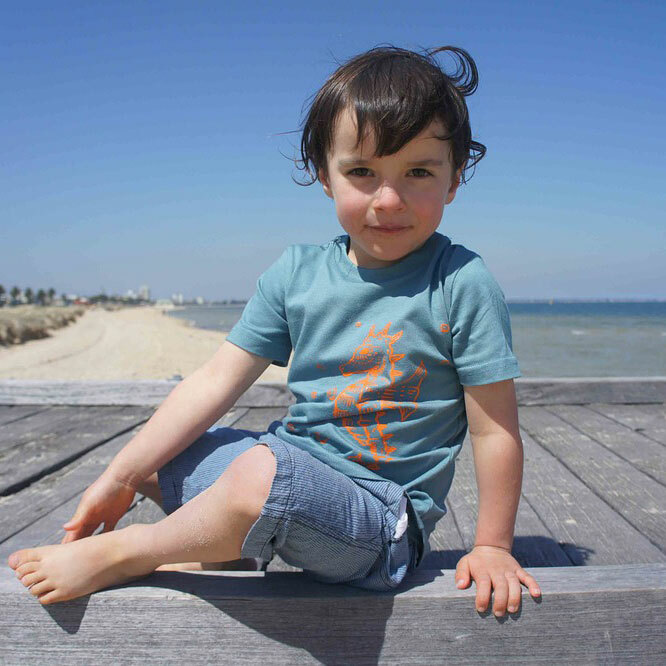 This soft kids' tee is made from 100% baby combed cotton and features a hand-drawn seahorse illustration from the wonderful imagination of Dylan Martorell. 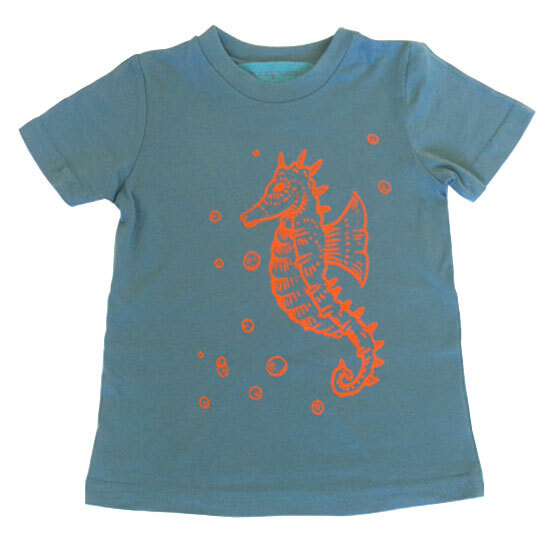 The fabric is ocean blue with the seahorse screen printed on the front in bright orange. 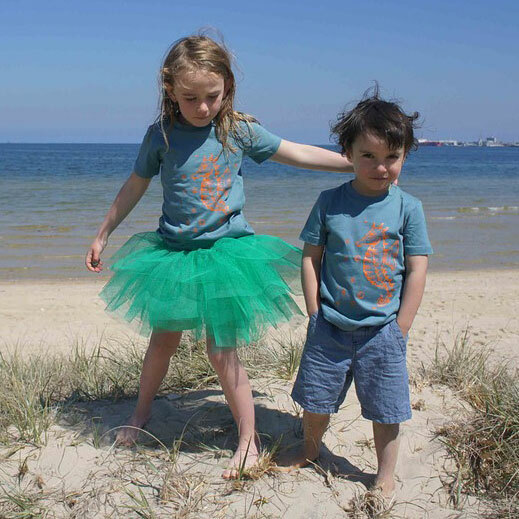 Available in sizes 1-4.